We live in a digital, electronic era. The very story you’re reading right now consists of digital data packets transmitted electronically around the globe. Because of cost factors, 99+% of shooting matches in the USA still rely on old-fashioned manual scoring methods. However, target scoring can be done faster and more precisely with electronic scoring systems. Olympic and international CISM shooting competitions now employ electronic target systems. And electronic scoring is widely used in Europe already. Below is a video showing an electronic scoring system developed by Norway’s Kongsberg Mikroelektronikk AS. Watch as a prone shooter puts five rounds on a 300m target. You can see the group form on the video screen at his shooting station. He’s a good shooter (with an accurate rifle). The first three shots are touching. As you can see from the video, viewing shots on the monitor is easier than using a spotting scope and waiting for targets to be marked. The electronic target eliminates the need for a crew of target pullers in the pits. Click on the image to go to our VIDEO VAULT page. The electronic scoring video is the first item in the menu. The Kongsberg system, like the electronic systems produced by Sius Ascor of Switzerland, do more than just display shot locations to the shooter. The target units automatically calculate scores, which are transmitted to a central computer. This can provide updated competitor rankings, and can even display the results to event spectators on large view screens. CLICK HERE for a longer streaming Flash VIDEO showing how electronic target systems work. 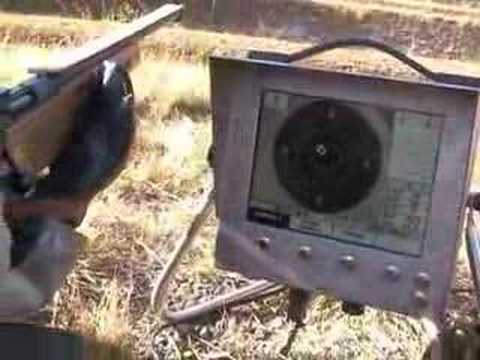 Share the post "Electronic Target Systems — Seeing is Believing"
In its OpticsTalk.Forum, leading optics retailer SWFA.com provides advance info on new products for 2008. New optics of interest to our readers include the 4.5-30×50 Elite 6500 scope from Bushnell, and a 6-24 power Zeiss Diavari with a massive 72mm front objective and new Fluoride Ion Glass. With a suggested retail price of $899.00, the new Elite 6500 features a 30mm main tube and an industry-leading 6.67 zoom range (from 4.5 power to 30 power). Two reticles are listed, a Mil-Dot and “Fine Multi-X”. Chris Farris of SWFA says the 4.5-30s are not shipping yet, but they should be available soon, and “SWFA will be the first to get them”. The big 72mm Zeiss has been around for a couple years, but for 2008 it has been updated with Fluoride Ion (FL) lenses with new lens coatings, and RapidZ ranging reticles. The RapidZ reticles employ horizontal hash marks calibrated for popular calibers to allow ranging and hold-over functions. The 6-24x72mm costs a small fortune — vendors are selling it for $3,400. CLICK HERE for more info on Zeiss RapidZ reticles. Share the post "SWFA Showcases New Optics for 2008"
Following up on our recent story on the Sale of Marlin Firearms to Remington Arms, here are more details of the deal. Remington Arms will purchase all of Marlin’s stock for $41,700,000 according to documents filed with the U.S. Securities and Exchange Commission. The deal is expected to conclude by the end of January. Both Remington and Marlin will now be under the umbrella of Cerberus Capital Managment, which acquired Remington Arms in April of 2007. This deal combines two of the most storied American arms-makers. Remington was founded nearly two centuries ago, in 1816. John M. Marlin, who worked for Colt during the Civil war, started his own business in 1870, initially making derringers and revolvers. Share the post "Marlin Sells for $41.7 Million"